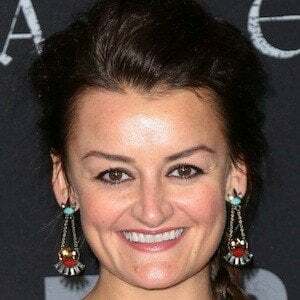 Making her television debut in 2013 in the role of Martha Hanson for FX's critically acclaimed drama The Americans, she would go on to land a recurring part in Amazon's Sneaky Pete. She was then cast as Pauline Jameson in Feud: Bette and Joan, the first season of FX's anthology series. She danced at a young age. She would train at the Lee Strasberg Theatre and Film Institute and at The Barrow Group. Before appearing on television, she was seen in the 2007 film The Nanny Diaries. She returned to the big screen in 2016 in The Accountant. She was born in Sunderland, Tyne and Wear, England. She most often shared the screen with Matthew Rhys' character in The Americans.